When the Nissan Murano was brought to the market in 2002 critics were baffled at what they found. It wasn't a sedan; but it wasn't an SUV either. Thus, a new product line was born: the crossover. 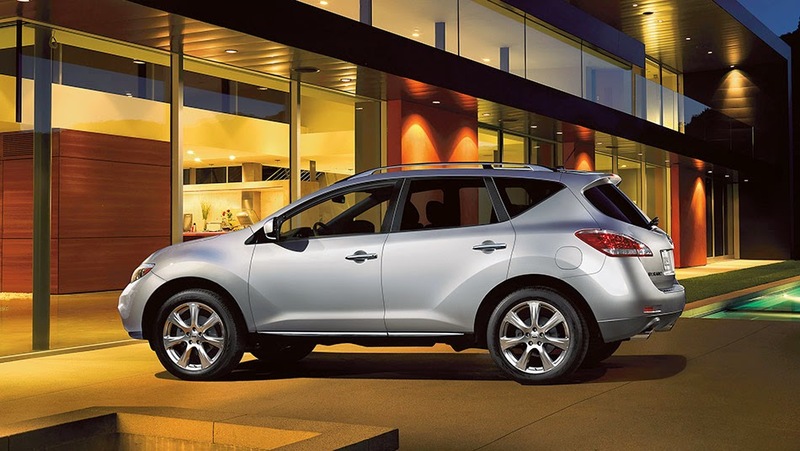 Since then the Nissan Murano has continued to define what a crossover should be. The Murano's 260-horsepower 3.5-liter V6 engine coupled with the most advanced suspension offers you a smooth ride with plenty of power behind it. The seamless shifting offered through its Continuously Variable Transmission (CVT) and intuitive all-wheel drive (AWD) allows you to always be in the right gear, at the right time, for the right conditions. The 2015 Nissan Murano vaunts its most advanced safety features yet. Available features include radar sensors to monitor your blind-spot, forward collision alert, rear cross-traffic alert, blind spot warning system, adaptive cruise control, and a 360-degree camera display to give you views you never had before. The spacious interior of the Murano offers state of the art technology from an 8 inch color touchscreen display to seats designed specifically to reduce fatigue. Its panoramic sunroof, leather appointed seating, power-folding rear seats and an 11-speaker Bose audio system are just some of the Murano's premium options. Can't wait to drive one? We thought so. Visit us at the Olympia Automall. Our expert staff and wide selection will help you find the car that's right for you. If you're searching for new or used cars in Puyallup come to the Olympia Automall.